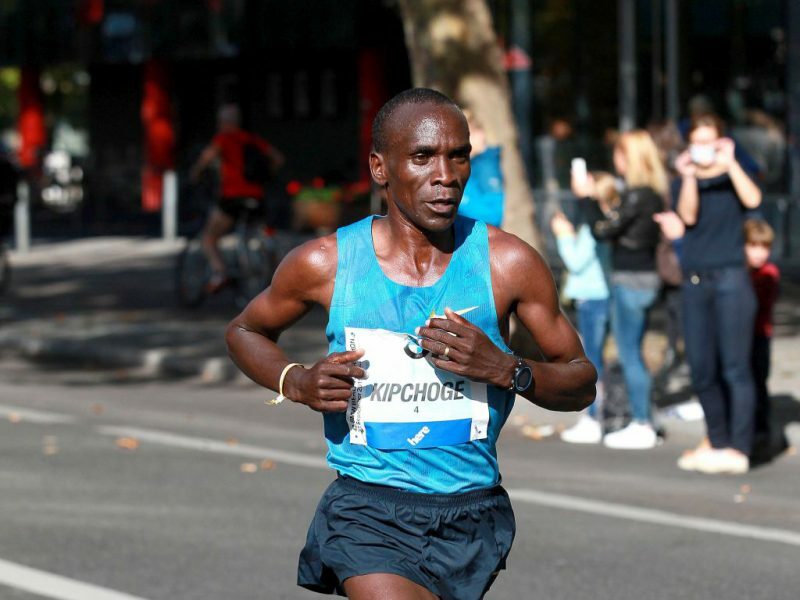 Given his status as the current unofficial world number one in the men’s marathon, following Sunday’s win in the BMW Berlin-Marathon to complete a triumphant year at the distance which began with an equally commanding victory in London in April, Eliud Kipchoge’s approach to peak performance provides a lesson to any runner, whether elite or those among the 41,000 and more who followed him through the Brandenburg Gate to the finish line. Reflecting on his career so far a few hours after victory in Berlin, Eliud Kipchoge emphasized that he and his longterm coach Patrick Sang, the Olympic silver medallist in the steeplechase in 1992, regard maintaining mental freshness as even more important than physical conditioning. 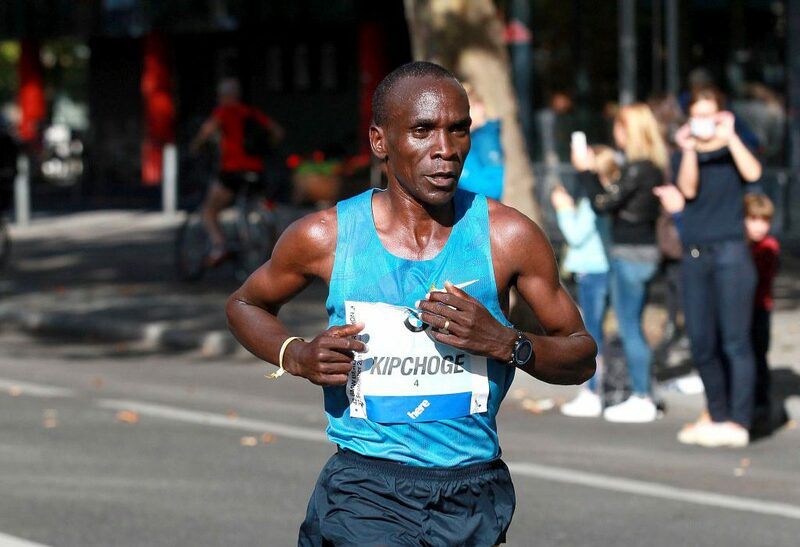 Kipchoge is, of course, in superb shape and has demonstrated his ability for more than a decade, winning the World 5,000m title against Kenenisa Bekele in Paris in 2003 and following that with a silver medal at the same distance four years later and an Olympic silver in Beijing in 2008. But their philosophy offers a wider framework than a mantra of 'Train Hard, Win Easy'. "After Berlin, I need to prepare for Rio and plan but that is eleven months away so I would want to do another marathon, probably next spring. "Eleven months without a marathon is too long, you need to test the body and that will tell the mind and body that another marathon, [the Olympic Marathon] is coming," explained Kipchoge. Simple enough in one sense and, given his status, any major race promoter is likely to be checking their budget in a bid for his services. But this additional comment reveals the subtlety of approach by athlete and coach: “The main thing is the mind, not the body. If you train for eleven months, the mind might get tired so it’s better for the body to get tired than the mind. So I’ll do another marathon before the Olympics,” said Kipchoge. The byzantine world of championship selection can follow all manner of twists and turns, so Eliud Kipchoge is by no means taking an Olympic marathon place in the Kenyan team for granted. Where he and coach Patrick Sang are confident is in the development of their training programme, begun 12 years ago, which has taken him from one of the best on the track to as strong as anyone in the marathon at present. "I’ve been with my coach all my life as an athlete. In fact, we were neighbours, Patrick lived about one or two kilometres from me in the same village of Kapsisiywa [Nandi district]. "When I was eight or nine, I’d see him training and began to notice him. Our plan was to run very well on the track, then we decided to turn to the road. The transition so far has been good and I can say our plans are up to date," explained Kipchoge with a touch of understatement. Kipchoge now lives in Eldoret and the training base is in Kaptagat, some 30 km away. Whatever he may or may not achieve at the Olympics next year, Eliud Kipchoge has unfinished business in the German capital, promising to return to the BMW Berlin-Marathon in 2017 with the aim of improving his time of 2:04:00, although without flapping insoles to add to the challenge. The ability to shut out distractions, set realistic short and long term goals and yet relax when required, can mark the potential champion among the pack. It was once commented in connection with Sebastian Coe that the most important part of an elite athlete’s equipment, given the requisite physical talent, was 'The Top Nine Inches', ie, the power of the mind. Eliud Kipchoge has that in abundance.